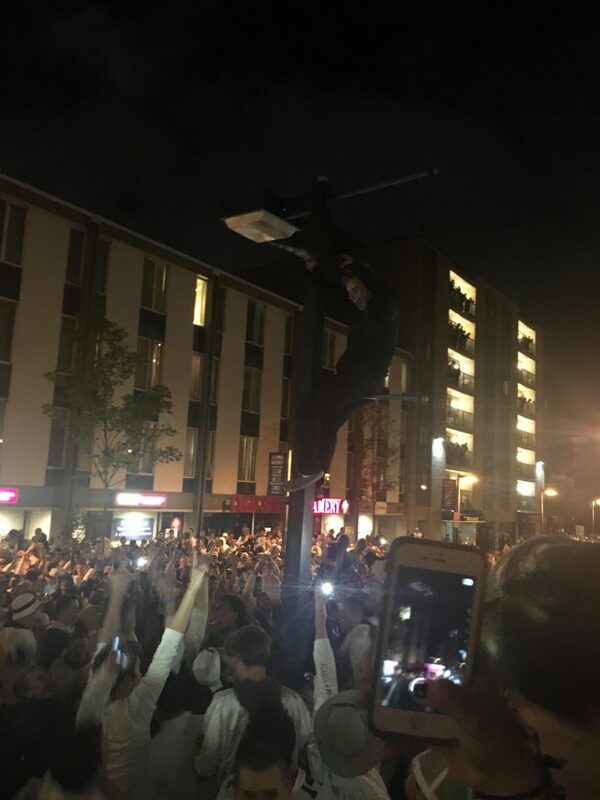 While I don’t agree with damaging and destroying public property, I think many people are missing a huge aspect of the riot: the power and pride of Penn State. 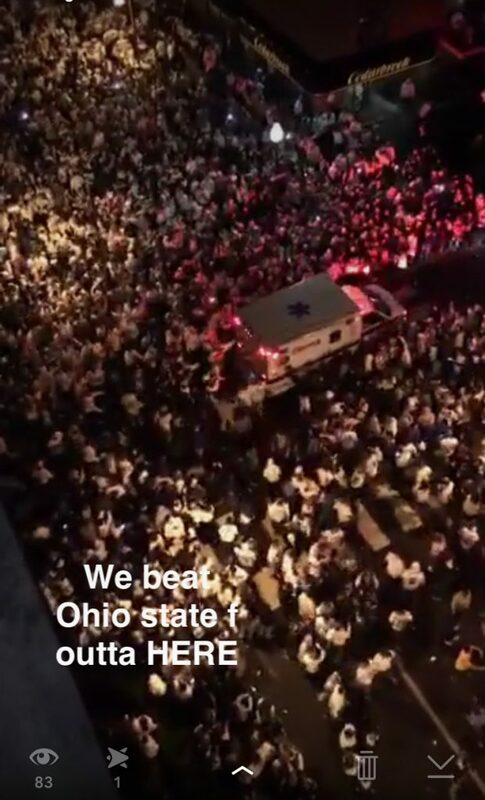 Penn State is literally known for its strength in numbers. After all, we raise millions of dollars each year at THON, the largest student-run philanthropy in the world. We fill up every single seat in Beaver Stadium, any time, any weather. No matter the event, our energy is indescribable. There’s a reason we are the #1 student section in college football. There’s a reason you can pass someone in a Penn State shirt and yell “We Are” and expect a proud reply of “Penn State!” You can’t find that anywhere else, I promise you that. 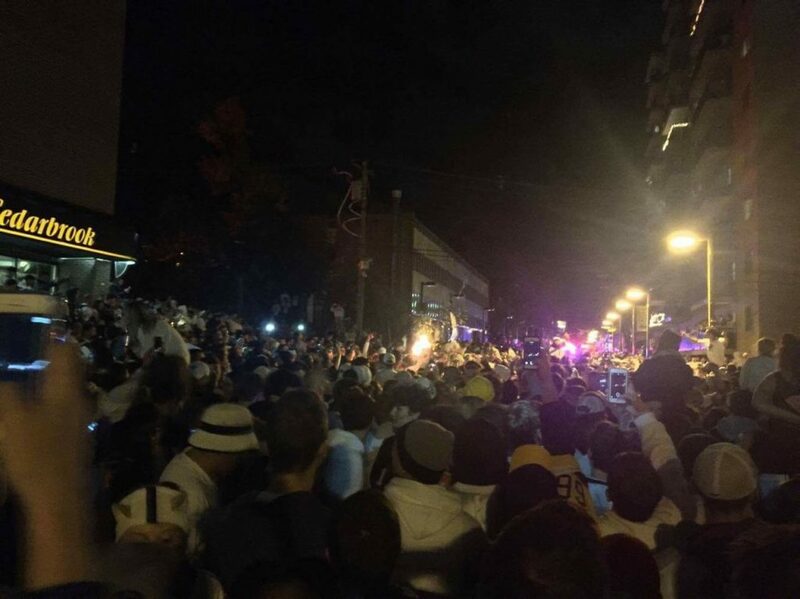 No, the vandalism that occurred at the riots is not what it means to be a Penn Stater. But what Penn State is defined by is our sense of community. Every Penn Stater, past and present, can and will come together in both good times and bad, whether it’s the outrage over the firing of Joe Paterno, the somber vigil for the victims of the Sandusky scandal, vigils for students who have passed untimely, gatherings for causes that need attention, or in this case the celebratory victory of beating Ohio State, the No. 2 team in the country. Thousands of people at the riot following the Ohio game did not destroy anything, were not climbing on lamposts or causing damage. They simply came to congregate with their fellow Penn Staters after an incredible win against Ohio State that no one across the nation expected – because win or lose we are proud to be a part of this institution and its traditions and history. We are a Penn State family and on Saturday we made history. Of course, there’s no need to rip off signs, light posts and bushes, but the truth is, this riot did bring us closer. I wish it didn’t turn into these extremes, but it is coming from a place of unity, celebration and pride. I am not in any way justifying the vandalism, but instead pointing out that that same energy and spirit that we bring to every football game was also there at that riot, but some people ruined it for us and it’s not something we should all be accountable for. Most of us were there to cheer, to celebrate, to bask in the glory of the sort of win they talk about for years to come. 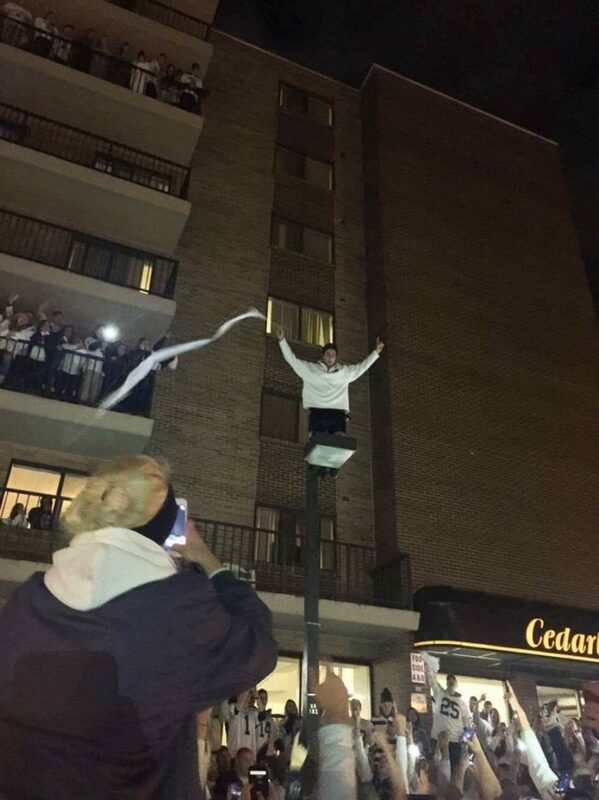 So yes, people cheered when another guy climbed up the light post and tore off a parking sign. 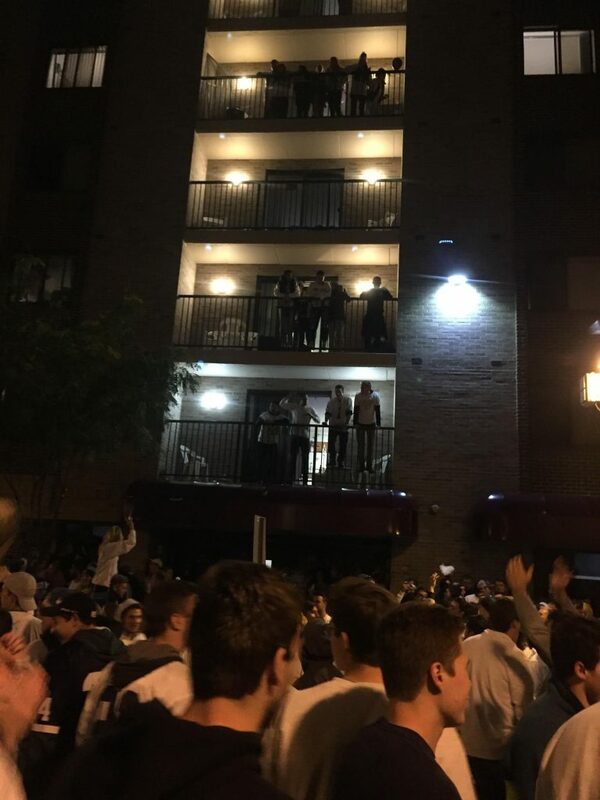 And yes, dozens of people stayed up watching the riot from their balconies. But only because Penn State fans are fiercely loyal no matter the situation and will never stop being crazy proud to go to this school. So don’t think less of Penn State because we riot when in fact riots are one of the unique things about us. No, not because we’re a bunch of drunk, loud college students but because we are the most passionate group of people you will ever meet. Our passion is out of this world and we didn’t think twice to pour out of the bleachers and storm the field when we realized we just beat OSU. 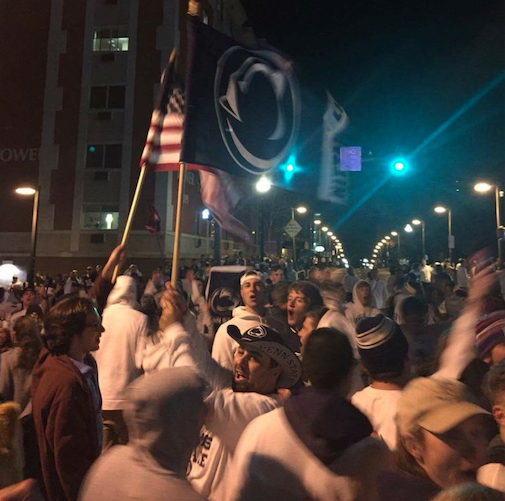 We may have channeled the riot the wrong way, but we will never apologize for being proud Penn Staters. And if our legacy is known as being “too proud,” then so be it.